Having a face mist handy over the summer is key to keeping cool and making your skin dewy and beautiful! Face mists are perfect for a day spent at the beach or exercising with your friends. When choosing a face mist, pick one that is enriched with vitamins and provides a light, gentle spray. 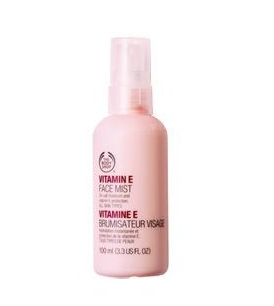 At CG, we simply adore The Body Shop’s Vitamin E Face Mist, available for only $14.66! Every girl dreams of a glowing sun-kissed tan, but the reality is, tanning is not so good for your skin, and burning your skin while trying to get a tan is even worse! Protect your skin from the sun with a sunscreen that is low in chemical ingredients and prevents burns naturally. 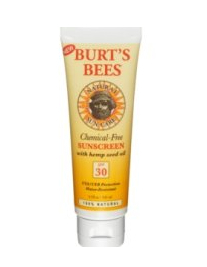 Burt’s Bees SPF 30 Sunscreen is an awesome choice for girls looking for a gentle, but high-power shield from the sun. For $15.00, Burt’s Bee’s sunscreen will protect your skin in the most wholesome and natural ways! 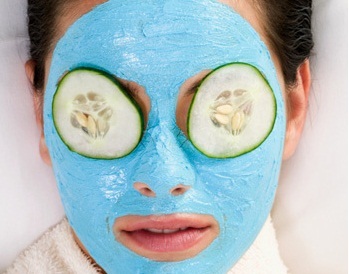 Soothe hot and sticky summer skin with a cooling face mask that reduces the size of pores and banishes pimples! We love the fabulous Green Tea Face Mask from Sudden Change, which provides girls with smoother, softer skin for under $10! This facial mask is perfect to use during the summer because it brightens the look of your skin and unclogs pores, which could be extra dirty due to sweat. This facial mask is easy and fun to apply, plus it gives you an excuse to throw a spa afternoon with your closest friends! Don’t you hate the way your skin often appears shinier than usual during the summer? The truth is, the hot weather causes girls to perspire, leaving the surface of the skin shiny, wet and oily, which looks gross and feels even grosser! 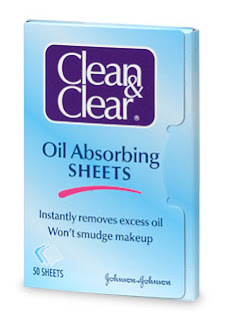 Solve this summer skincare dilemma by keeping a packet of oil blotting tissues with you at all times. Oil blotting tissues absorb the oils from one’s face and restore the skin’s eve, fresh appearance! 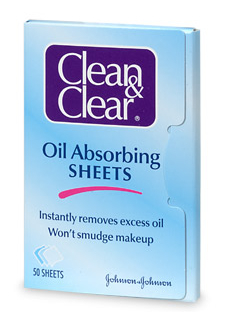 Check out Clean & Clear’s Oil Absorbing Sheets (packet of 50) for $5.49, and see for yourself how useful these little sheets can be! Washing your face is just as important in the summer as it is in the fall, winter and spring ... but did you know that the face washes you use in each season should vary with the changing weather patterns? For summer, girls should look for lighter, moisture-rich face washes with self-tanning features (although the latter is entirely optional!). 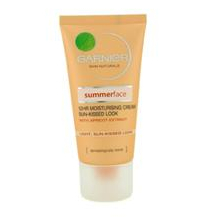 CG recommends Garnier Sun Kissed Summer Color Wash & Moisturizer, sold for around $25. This face wash cleans your skin and leaves it with a light tan that lasts for up to 12 hours! This is an ideal face wash for girls looking to add a bit of color to their complexion over the summer as well as keep a clean and fresh-looking face. Remember, keeping your skin looking top-notch over the summer can be tough, but if you stick to a regime and have the right products on hand, your skin will look dazzling 24/7! Just keep an eye out for these products the next time you’re browsing the beauty and skincare aisles, and you’ll be well on your way to a fresh and clear complexion. An informative and helpful post to know the essentials for summer care products. A must read for skin care.